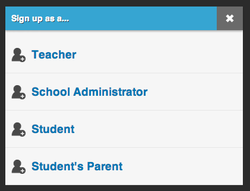 Use Engrade to check your child's academic progress. Click on the button below to visit the website. Click on the green "Get Started Now" button. Then, you will sign up as a "Student's Parent". Enter your child's assigned access code. Complete the fields and click "Create My Account" to get started.